How have recent changes in legislation and the law affected the e-cigarette industry and how do you think it will affect it in the future? The changes in legislation will fundamentally affect the e-cigarette industry and will directly benefit ‘big tobacco’ It is almost like they have paid lobbyists in Brussels to ensure the regulations fall in their favour on this major new industry which is taking a substantive slice of the tobacco market. The e-cigarette business has grown with small to medium companies and entrepreneurs now, mostly, only large companies will be able to fulfil the regulatory requirements and pay for new products to go through the regulatory regime ensuring any innovations are stifled unless introduced by big tobacco. Big tobacco has silently brought up a lot of existing e-cig companies and will now concentrate on driving the rest of the companies out of the industry over the next couple of years via ‘lockout’ deals with retailers and other tactics. At the moment a lot of people are scratching their heads, and we have seen small boutique operators begin to wind up business, some of our own suppliers are planning on it. But the consumer demand is not about to slip away simply because a non-smoking bureaucrat 700 miles away fancies conspiring to tax vaping. We have been investigating what we can sell post TPD for over a year now and feel that enough manufacturers have woken up to the realities of what their commercial customers in the UK and EU require to sell moving forward. The Nautilus X from Aspire is one of the first TPD box ticking tanks brought to market, and none of their competitors is about to leave the European trading space to them alone; markets adapt. From our perspective we want to make sure consumers still have choice, I would hate that by this time next year, all that is being sold in every vape shop around the UK is limited range of ejuices. We are working on making sure that a trip to Vape and Juice at least will offer some unique ranges not available elsewhere. We have to operate like that, or we may as well get off the ride. 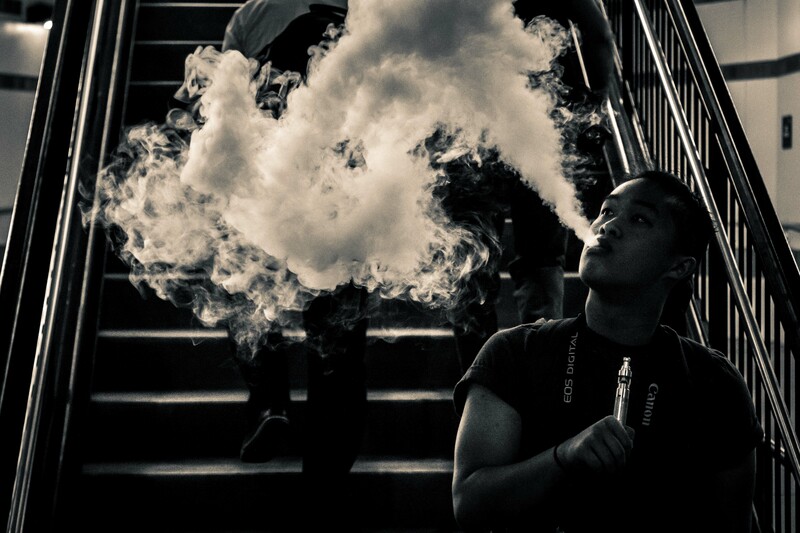 The recent changes have had no effect yet on the e-cig industry. The TPD that came into force in May 2016 gives suppliers and manufacturers 1 year to clear non-compliant stock. After this period, and if the current legislation holds (it is currently being contested in Parliament this week) there will be a massively diminished product range with tank capacity over 2ml banned and “leak free filling” required. Loss of all e-liquids in strength over 2.0%, and any manufacturers of e-liquids that can not meet requirements (testing, emission data, registration for each product variation of strength and flavour) will mean a massive loss of e-liquid ranges, flavours and brands. This will hit small, independent and “gourmet” producers hardest. 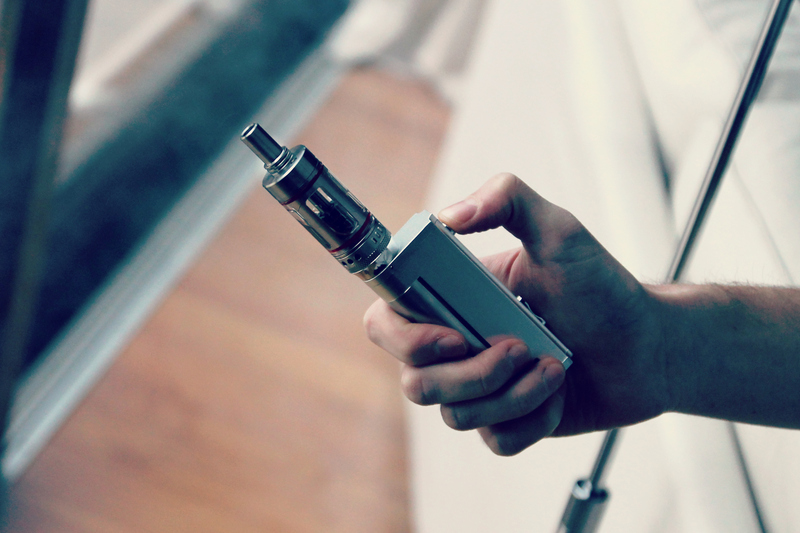 Do you think the attitudes towards E-cigarettes and vaping has changed? How do you think they will continue to change? There are much greater acceptance and knowledge of vaping by the general public and is generally perceived in a more favourable light than tobacco – and it will be interesting to see if this continues or whether some of its opponents get it perceived as-as bad as tobacco as some would appear to want to. We see an upsurge in sales after every credible bit of news supporting vaping is leaked into the media. More people are vaping now than before, so logic tells us that more people see it as a way of quitting smoking. Do non-smokers see it in a more favourable light? I think there will always be those that hate smoking and see vaping as a ‘loophole’ – they perhaps don’t see it for what it really is and maybe that’s because they aren’t exposed to vapers as much. What worries me is where those non smokers have the potential to kibosh a valid quit smoking aid, simply because it looks ‘a bit like smoking’. Ignoring that is the entire reason why it works so well as an aid. But I think the market is definitely viewed from within as more professional now than ever before. Cowboys still exist, but there are definitely some really polished operators out there. In the UK attitudes have changed and become more positive as more support from government and organisations come forward to counter a lot of negative news and information from opposing parties such as big pharma and tobacco. As e-cigs become more mainstream, more studies conducted and long term usage data becomes available I believe e-cigs will become an accepted method of harm reduction for smokers. Do you think enough people have access to factual health information surrounding E-cigarettes? How much miss information would you say there is out there? There isn’t as a full body of evidence out there as there is in relation to tobacco – but this is logical and to be expected as the effects of tobacco have been studied for decades. Vaping isn’t good for you and never will be – but it is vastly better for you than tobacco – and most indicators are to a factor of 95%. There is misinformation out there – good news doesn’t sell media – and the focus has been on various studies which indicate vaping won’t be good for you – without comment to the relative risks involved in tobacco. I think this has been a huge problem over the last few years, particularly with the absence of regulations it has meant a lot of people with vested interests in the existence or the extinction of e-cigarettes have been able to put out articles that have little substance but are easy column inches to the media. I can write an article online, stick a few strong keywords in and say vaping is the devil incarnate for x and y reasons and no one government body is there to dispute it or support it. It can be shared without obstacle, widely read and no one there to hold me to account. Because of this, the anti-vaping lobby and the tabloid media have had a field day. Countless newspapers will only run reports on lithium batteries exploding if the user had been operating it in conjunction with an electronic cigarette. The same story is a little less impressive, if the battery had been used for a torch, or if it had been a laptop’s lithium battery. That’s the crux of the matter – I still hear people say they haven’t quit smoking yet as they hear that vaping is just as bad – some say they have read online, that it’s worse. The general public aren’t forensic investigators, by and large, the headline gets read and little else. This has meant those with money and sway can push the argument in their favour through lobbying media groups. We know pharmaceutical groups lobbied the EU over the TPD regs, we have evidence of it, they see vaping as an existential threat to their smoking cessation business – is it so surprising then that false information can be dripped into the media? There is a lot of information available, however a lot is negative press, propaganda and opinion with no real scientific foundation. As a result peoples opinions vary dramatically. If you want to see hard evidence for how much propaganda and miss information is purposely being spread simply create a daily google alert for “electronic cigarette” and see how many negative articles are being placed onto paid news sites. Big tobacco will take an increasingly large slice of the business – but there will still be space for others. A key factor for the industry is how it is taxed. Too great a tax will vastly reduce the legitimate market and a large grey market will develop with a substantive part of it being based over the internet. I think history shows that entrepreneurs will always find a way to adapt to changing business methods. It’s why we arrived in the e-cig industry and it’s why I believe those with a strong business plan and team around them will adapt and continue to survive in the marketplace, even with the changes to regulations. New rules on nicotine based e-liquids, means now more than ever the vape game has to look at nicotine substitutes whereas before we only focused on cigarette substitutes – that’s where Vape and Juice are investing their energies and I think that is where the smart money will go to. It is hard to say without knowing the outcome of this week’s vote in Parliament and any other legislative challenges that may lie ahead. As e-cigs become more accepted, mainstream usage will increase but product range, diversity and available will be reduced.